This area was once called Swayback. The name came from the original school building, whose roof sagged in the middle. One reference says that Swayback was actually about 1 mile south. At one time the Walnut Grove Presbyterian Church was the largest rural church in Collin County. It was the only rural church to have a full time minister. There was a tabernacle behind the main building in which it held annual camp meetings. The church building was torn down in 1994. The windows from the old church were installed in the Foote Baptist Church building that was moved to Chestnut Square in McKinney by the Heritage Guild in 1994. The pews and chancellery furniture were given to other churches. The rest of the building was buried on the site. There was a historical marker for the old church. It is being stored in the Old Post Office Museum in McKinney until the State Historical Commission can decide what to do with it. This cemetery is quite large, covering several acres. It is fenced with 4-foot chain link fencing and has an arch and sign over the entrance. One deed is listed in Vol 9, p 424. The land for the cemetery and church was donated by the Rhea brothers, who started Rhea's Mill. The Old Walnut Grove Cemetery was behind the church on the northwest. See the Old Walnut Grove Cemetery write-up. The creek running on the north side of the church and old cemetery is Wilson Creek. The Walnut Grove Cemetery was south of the Presbyterian Church, on a hill. For more historical information, see the write-up for the Wear Cemetery. 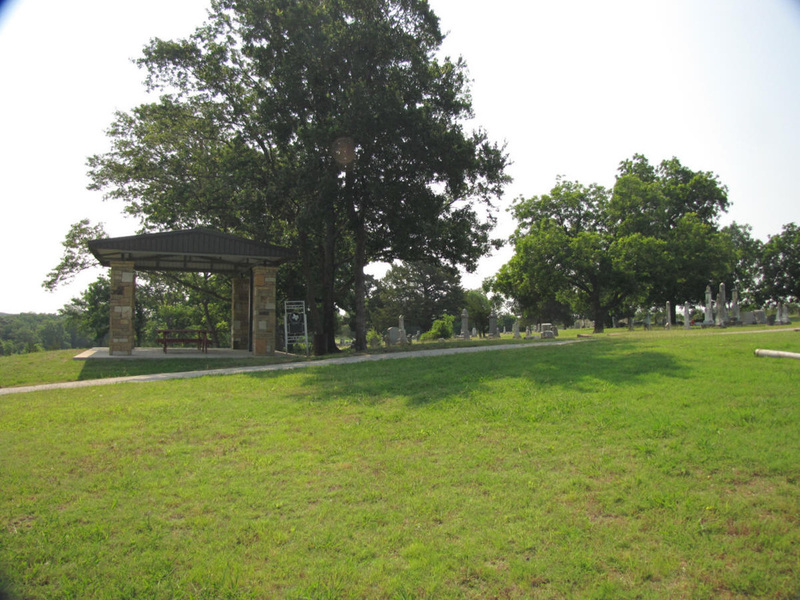 In early 1995 the Grace Presbytery deeded 5 acres of land to the Walnut Grove Cemetery Association. This included the old cemetery and all of the land connecting the two cemeteries. 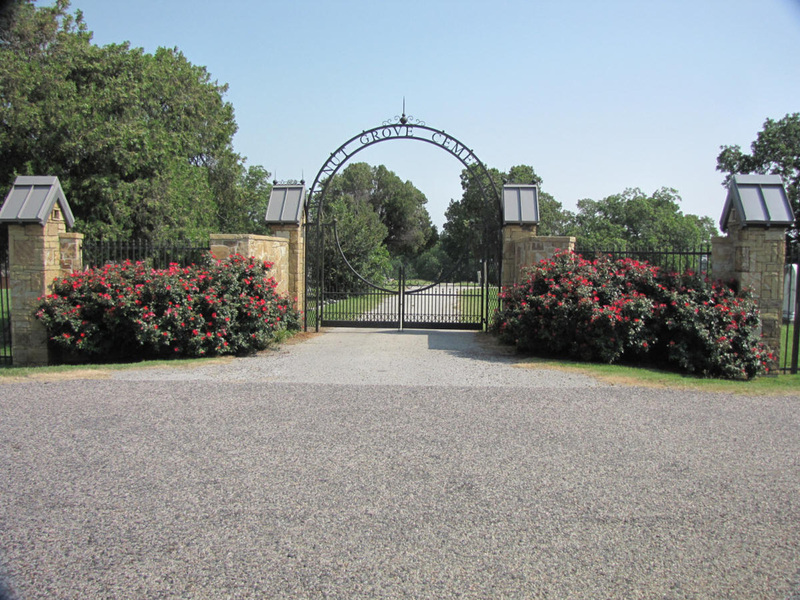 Most of the members of the Walnut Grove Cemetery Association live in Prosper, and are connected with the Prosper Presbyterian Church. The Prosper church was closely associated with this one. The cemetery is well kept and active.